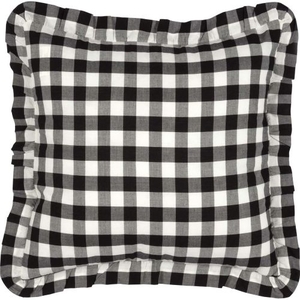 VHC Annie Buffalo Black Check Fabric Pillow 18x18, Available Now! 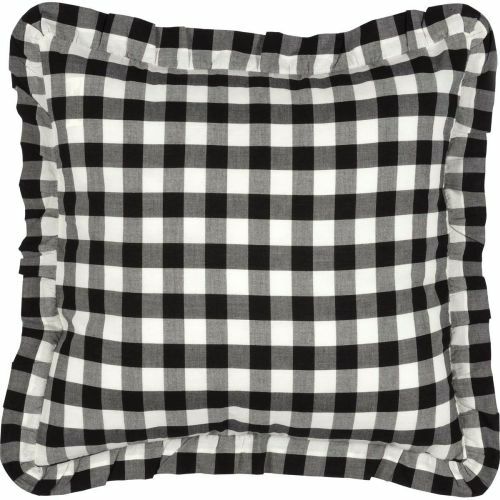 The 18x18 Annie Buffalo Check Fabric Pillow is a fresh and lighthearted piece tailored to complete the look of your laid-back farmhouse bedroom. Patterned with buffalo checks, and trimmed with gathered ruffles. 100% cotton shell, polyester fill. Reverses to same as front.